It is about to get much worse. Official confiscation of white property without compensation has begun. Soon the constitution will be amended to explicitly allow it. Erdogan’s Turkey is ruled by sharia, not by secular law. What they find “unacceptable” is that Trump doesn’t submit to Mohammedan mores. Good on Trump! A spokesman for Turkish President Recep Tayyip Erdogan said Wednesday the American response to the detention of Pastor Andrew Brunson is an “unacceptable” attempt to interfere with the Turkish legal system. “There is rule of law in Turkey and the Andrew Brunson case is a legal issue. There is an ongoing legal process related to this individual. 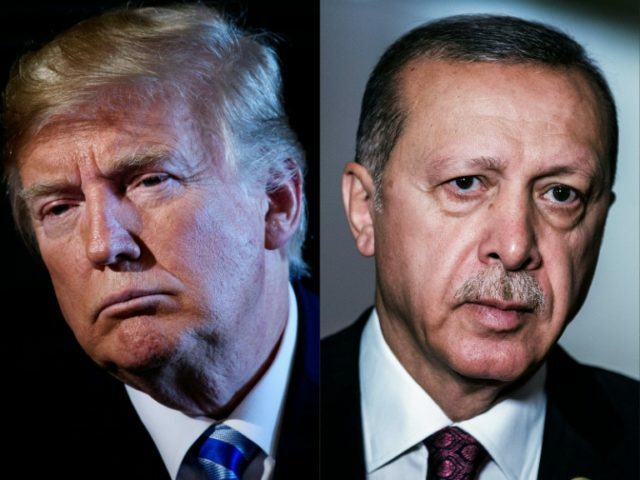 It goes without saying that we find unacceptable the disregard of the legal process by the United States, which has been making certain demands,” Erdogan spokesman Ibrahim Kalin told Reuters. Kalin said statements such as U.S. National Security Adviser John Bolton’s warning that Turkey made a “big mistake” by holding Brunson were “arbitrary” threats and demands. “A real NATO ally wouldn’t have arrested Brunson in the first place,” a White House official pointed out on Friday, possibly inspiring the Erdogan spokesman’s reciprocal rant about how U.S. sanctions against Turkey violate the principles of NATO. Tens of thousands of Muslims, mostly Palestinians, performed Eid al-Adha prayers Tuesday at East Jerusalem’s Al-Aqsa Mosque amid a heavy Israeli security presence in and around Jerusalem’s Old City, witnesses said. Muslims around the world on Tuesday marked the first day of the four-day Eid al-Adha holiday, during which animals are generally sacrificed, the meat from which is distributed to the poor. Firas al-Dibs, a spokesman for Jerusalem’s Jordan-run Religious Endowments Authority, estimated the number of worshippers at 100,000, many of whom, he said, had come from the Israeli-occupied West Bank and from elsewhere in the Arab/Muslim world. In a sermon delivered before Eid al-Adha prayers, Sheikh Muhammad Hussein, grand mufti of Jerusalem, reiterated the Palestinians’ determination to defend the Al-Aqsa Mosque “in the face of the [Israeli] occupation’s efforts to Judaize it”. As Dr. Thomas Szasz proved, there is no such thing as “mental illness:” all criminals understand their actions perfectly well; one has to be able to understand the truth, in order to always be so scrupulously able to avoid it so perfectly! ALL human (and animal) emotions and thoughts are experienced as a simple, binary process. Our emotions themselves are really only mere reflections of the three basic states of space-time (the static past, the fluid present, and the nebulous future, respectively): static fear, fluid greed, nebulous hope. (Not exactly worth defending)! Thought-killing psychopaths are initially slanderously paranoid, and so initially presume that every one and every thing is always out to get them. So, in this chosen worldview of theirs, they can’t even trust their own fears to be helpful internally-generated warnings, but must regard such painful thoughts – and all rational thinking prioritizes fear over hopes, in order to help one plan to avoid making mistakes, and to solve the problems which cause the pains one fears the most – as further externally-generated pains, to be fought and ignored. Then they project their own limitations of self-distrust onto all others, too, and so must then pretend to regard us all as helpless fellow victims while really still seeing us all as enemies. So habitual victim-blaming paranoia leads inevitably to masochistic hypocrisy. It’s that fear-focused masochism – where they reject their fear, by turning it immediately into anger and then also into the false hope that, by doing something (but NEVER by actually opposing the objective threat, problem or mistake itself – because that is presumed to be “inevitable!”) to either help cause &/or help or induce others to cause the “inevitable” problems which cause the pains they fear the most, &/or by attacking their own fears and the fears of any and all other people who would oppose their Submission by having the gall to entertain the blasphemous hope of trying to fix the mistakes or to solve the problems which cause those pains they fear (“worship”) the most! An absolute principal the always maintain is that they can only ever control (&/or eliminate entirely, if only by “virtuously” ignoring) their own fears, BY causing the very painful problems they fear the most. TO kill off the pains of thinking itself, they must also deny that cause-and-effect processes exist, or if they do exist, they must assert that they must be too complex for any mere mortals to ever understand. Otherwise, they can and will only ever try to sadistically dominate others whom they perceive as being even weaker than they are (in order to force to them to submit to helping cause their painful problems) because as dedicated cowards, they always feel they can only eliminate their own painful fears, and if and when they have to cause the actual pains to help them eliminate their own painfully fearful thoughts, then that’s what they will dedicate themselves to do, each and every time, in a ritual, habitual, and even “obsessive-compulsive” manner. “SINCE something could or can go wrong, SO it WILL go wrong (and in fact, already IS going wrong, right now!) SO they HAVE TO “pre-emptively, defensively, counter-“attack it and those who are already attacking them by threatening (aka “warning”) them about it, first! Attacking first is just the only logical, shrewd, realistic and “realpolitik” thing to do! In killing off the thought process to reject the ancillary pains of fear, all psychotic subjectivist hypocrites are also gangster slavers – they want to have rights without responsibilities, by offloading and inflicting their own responsibilities (like, to think for them selves) onto others, whom they assert should have no rights – especially no right to defend them selves from the slavery attenpts. In the mold of the Rousseau version of the’Social Contract,’ one only has a right to be enslaved to the state: to give up both one’s rights and responsibilities onto others, to give them the right to be responsible for you, in exchange for which you will become and remain a good, loyal slave. Corporations practice this too. 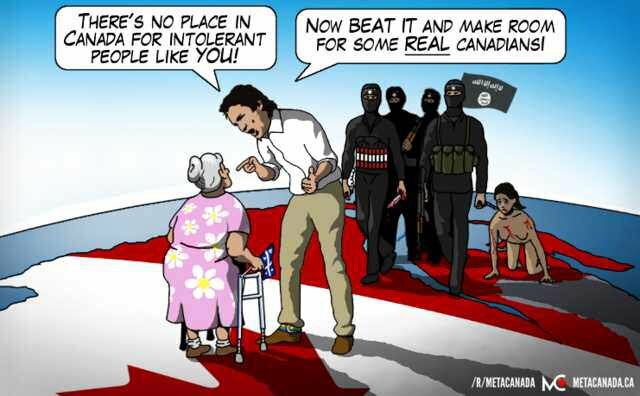 In fact, eventually all governments, even the most “Democratic” ones, will get around to voting for this sort of “soft” tyranny (Canada is almost there already, having voted for liberal “free stuff!” for the past half century). Now realize that these thought-killing “psycho-paths” dominate the globalist banks, corporations and all levels of government and the media, and it’ll be clear as to what’s really going on in the world today.